Nestled in the Rocky Mountains of southwestern Colorado, Crested Butte is a vibrant, alpine community. Situated in Gunnison County, Crested Butte is a hotbed for skiing, snowboarding and snowmobiling. With 85 percent of the county comprised of national forest, Wilderness Area and BLM land, our region is ideal for hunting trips and wilderness excursions. Additionally, the alpine streams and lakes are perfect for fly fishing and water sports. The abundance of sunshine and fertile soils also makes this a desirable setting for a ranch or hobby farm. 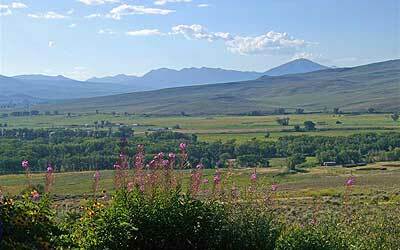 When it comes to Gunnison County homes, cabins and condos, recreational land, ranches, large and small vacant acreage, the dedicated professionals at United Country - Gunnison County Real Estate are the ones to call. No one knows Gunnison County fishing, hunting, ranches, ski and recreation properties like we do. United Country is the only national franchise system specializing in real estate throughout the small towns and cities of rural America.